IFIM Law School conducted a Three-Day Certificate Course on “Intellectual Property Rights and Management” in partnership with TechLawLogi from 5th October - 7th October 2018 at IFIM Law School, Electronic City, Bengaluru. The resource persons for the Certificate Course were Dr. S K Murthy and Dr. Pratima Narayan. Dr. S K Murthy is a Patent Attorney at Intel India. Dr. Murthy has exposure to Indian and US patent laws. His primary areas of focus are: patent preparation and prosecution; training engineers/professionals on basics of patent law; providing opinion on patentability; and such other patent related issues. His interests also include developing strategies for inculcating, developing, and sustaining IP culture and patent management. He is presently employed with Intel Technologies India Private Limited as their Patent Counsel for India. SK is a qualified Indian patent agent with an engineering background. SK holds a dual doctorate in the fields of both engineering and law. Dr. Pratima Narayan is the Founder Partner of TechLawLogi Consulting LLP. Her expertise lies in the areas of commercial laws, intellectual property, Consumer Protection and Information Technology law. Dr. Pratima has also served the legal academia for over 18 years as visiting faculty at various law schools and business schools. She holds a doctorate in law from National Law School of India University, Bengaluru, in the area of Consumer Protection law. She has also written various articles on Trends and Challenges in Consumer Protection in Electronic Commerce, that have been published in various international and national journals. Prof. Shivani Dutta, Assistant Professor and Coordinator, Centre for Excellence on Consumer Law, IFIM Law School was the Program Coordinator. Session – 1 – Introduction – About IFIM Law School, About TechLawLogi, Introduction to Course outline and Introduction to Virtual Classroom. Session 4 – ACTIVITY – Documentary and Case Analysis on Identifying Intellectual Property. Session 5 – Registration of Intellectual Property - Criteria for Registration - Intellectual Property Office - Stages of Registration - Term of Protection. Session 6 – Intellectual Property Management - Need for IP Management – Licensing - Forms of Licensing – Assignment – IP Valuation. Session 7 – Session 8 – Practical Session on Prior Art Search, Understanding Patent Specification. Session 9 – Intellectual Property Infringement - What is IP Infringement? - Exceptions to IP Infringement -Case Studies on IP Infringement. The Certificate Course was attended by 34 law students of IFIM Law School. The Certificate Course opened with a welcome address by Dr. Venugopal B.S, Principal, IFIM Law College. In his address to the students, Dr. Venugopal introduced about the Vision and Mission of IFIM Law College and the collaboration with TechLawLogi in conducting the Certificate course. Dr. Venugopal brought out the need for a holistic understanding of Intellectual Property for an organisation to exploit its business to the fullest and the role of lawyers in establishing and protecting the intellectual capital in the technology world. He wished the students on a successful completion of the Certificate Course and expressed his keenness on a long-term intellectual collaboration with TechLawLogi. The Session was followed by an introduction about TechLawLogi, its Vision, Mission, Strategies and the team at TechLawLogi by Dr. Pratima. A brief overview of the sessions was explained, and the students were oriented about the virtual classroom, wherein reading material, cases and assignments were open for access. 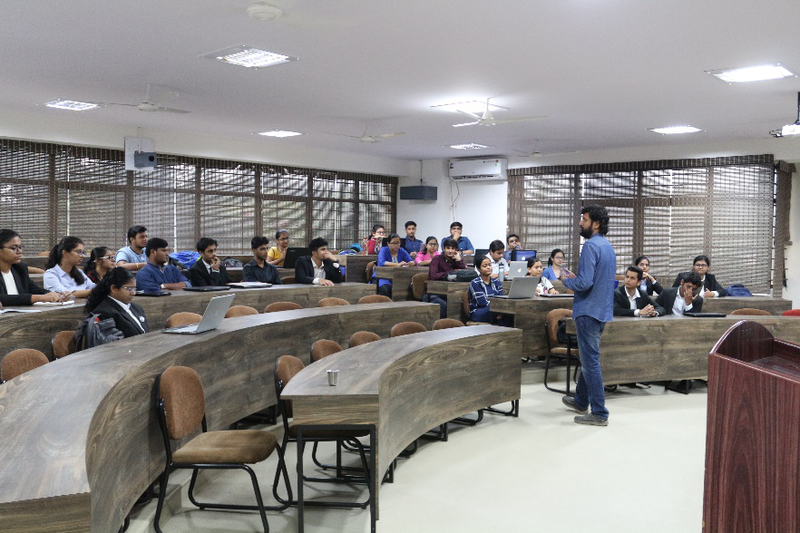 The Introductory Session was followed by the first technical session on a brief introduction about intellectual property, its nature and significance. The session also dealt in length about the evolution of Intellectual Property and the various international agreements and conventions such as the Paris Convention, Berne Convention, Madrid Agreement, TRIPS Agreement etc. and their significance in shaping the IP regime around the world. The session also brought out the impact of the international agreement and their ratification into the Indian legal system. The second session began with a short documentary film that illustrated the manner in which an inventor in Bangladesh came up with an idea of creating a software for the Bangla manuscript for computer users. The film also depicted the way in which the inventor identified various forms of intellectual property to his asset and its commercial success in the market. The documentary was an eye opener to the different species of Intellectual Property Rights. The session dealt in detail the subject matter of Intellectual Property and the essential features of each of the IP such as Patents, trademarks, copyrights, industrial designs, semiconductor and integrated circuit designs, plant variety protection and trade secrets. The day’s session ended with an Case activity for the students, wherein the students were given the facts and assigned the task of advising a company on developing a comprehensive IP portfolio. The Second day’s session began with an interactive session on Commercialisation of Intellectual Property by Dr. Murthy. 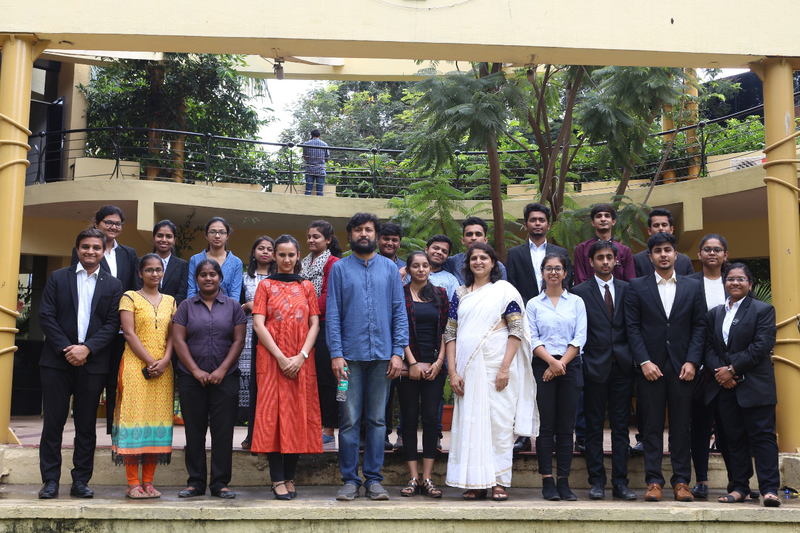 Dr. Murthy placed before the students his rich industry experience through case illustrations and thought-provoking questions on exclusive use of Intellectual Property. He explained about the criteria and term of patenting, technology developments spanning from artificial intelligence, machine learning and the IP rights, commercialisation through licensing and assignment and interrelation of Monopoly and Intellectual Property rights. The latter half of the day’s session dealt in detail about the registration procedure of the various forms of Intellectual Property, about IP offices, stages involved in registration of Intellectual Property, kinds of patent applications etc. The students were also exposed to real time illustration of a prior art search, published and grated patents and an overview of specifications and its contents. The third day of the Certificate Course dealt exclusively with Infringement of IP and Remedial measures. Various cases brought before the Courts, both Indian and foreign judgements, were discussed in length to bring out an in-depth understanding of the infringement of IP. The session also brought out the exceptions to IP infringement under various laws such as Patent Act, Trademark Act and Copyright Act. The session also introduced the Adjudicatory bodies involved in deciding cases relating to IP such as IPAB and the Commercial Courts in India. Various remedial measures were discussed such as injunction, damages, Anton Piller Order and account for profit. The session was followed by a documentary film that depicted the IP lifecycle of an entrepreneurial venture in the US and the challenges faced by the company in protecting its IP. The documentary also depicted the way in which manufacturers across the world perceive IP, what constitutes piracy and counterfeiting etc. The documentary was followed by a brain storming Q&A. The three-day Certificate Program ended with a written test that summed up the entire learning. - Students were able to comprehend about the subject matter of Intellectual Property and identify its different forms. - Real-time cases and illustrations helped students understand the challenges faced in protecting IP rights. 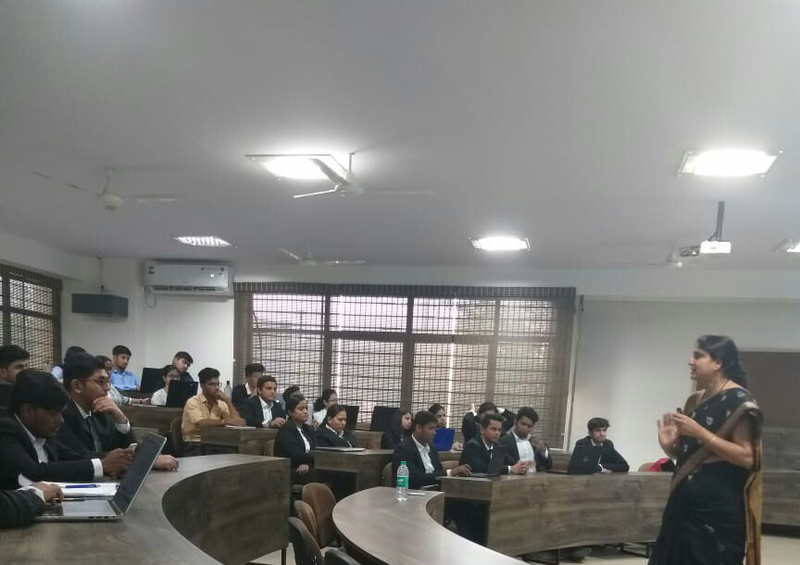 - Detailed inputs on the registration process and practical session on prior art search helped students comprehend on each stage of the registration process and an exposure to the various IP offices in India, US and the WIPO. - Students were able to comprehend on the manner of commercialisation of IP and the role of lawyers in establishing and protecting the client’s IP. - Case study analysis and short documentary films enabled the students to appreciate the need for a robust IP Management. - The students were also able to comprehend about infringement of IP and the various remedial measures.